It is good for high school kids to have jobs, because the employment experience teaches responsibility. Cocoa already happens to be plenty responsible, unlike her deadbeat father and even worse deadbeat brother. 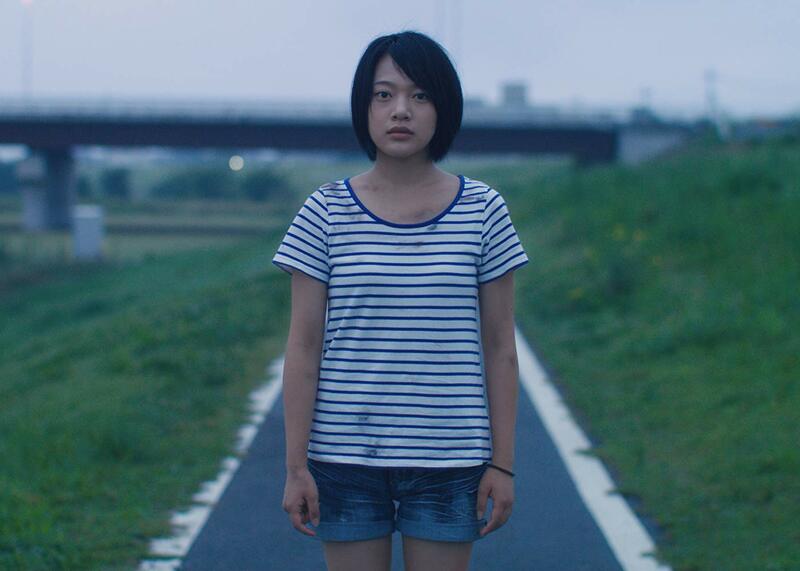 Unfortunately, her choice of employment will lead to trouble and scandal in Genta Matsugami’s Demolition Girl, which screened during the 2019 Slamdance Film Festival. It wasn’t Cocoa’s idea, but an old friend of her brother convinced her to appear in his foot-crushing fetish videos. Right, we’re talking about women’s feet stomping on things. She really doesn’t get it either, but the money is good and the work doesn’t take long. Those are both important factors, ever since she decided to take a shot at the national university entrance exams. She should be smart enough to pass, if she could study as much as her friends, but paying tuition and expenses will be another matter entirely. Of course, her lazy father and parasitical brother still expect to live off her. Cocoa’s upbeat resiliency is quite appealing, but viewers will rightly suspect her method for earning quick money is not sustainable. When the shoes start to drop (so to speak), the film takes a decidedly dark turn. She can justly blame her brother’s friend, who unwisely started selling his videos through a gang of sleazy underworld thugs, but he really isn’t a bad guy. On the other hand, her brother is truly pond scum. Aya Kitai was quite deservedly recognized with an Honorable Mention for the Slamdance Acting Award, because her performance will make your heart ache for Cocoa. We feel for her acutely, yet the remarkable thing about her portrayal specifically and Matsugami’s film in general is how uplifting it is, despite all the rotten things that happen. Somehow, her indomitable spirit lifts our own. She also forges believably grounded but very different kinds of rapport with her besties and the aspiring fetish filmmaker. Matsugami’s DIY-style aptly suits the drabness of Cocoa’s depressed provincial town and the mean circumstances of her life. Everything in his film feels really real. Yet, Kitai lights up the digital screen. After watching Demolition, we sincerely hope Matsugami continues to tell Cocoa’s story, returning to her every so often, like François Truffaut did with his Antoine Doinel films. Yes, I’m dropping Truffaut’s name in a review of Demolition—honestly, Cocoa might just be even more emotionally engaging (even though Truffaut’s artistry was admittedly greater). 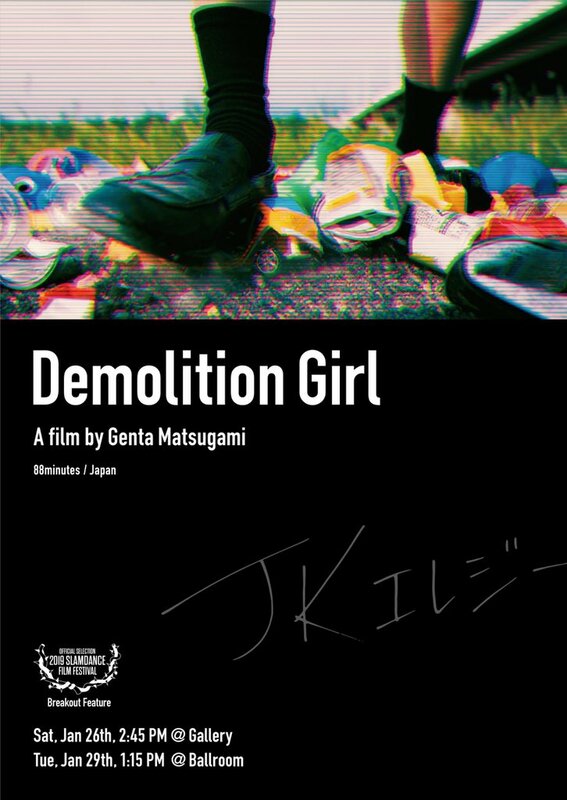 Very highly recommended, Demolition Girl had its world premiere at the 2019 Slamdance Film Festival.